Getting a life insurance policy is important for anyone who has a family that depends on them, or who has any other financial responsibilities. Even if that’s not the case and you don’t have any dependents, life insurance can still be very useful to help cover funeral costs and to ensure that your loved ones are taken care of when you’re not around. But while no adult should be without life insurance, this is especially important for veterans. More precisely, it’s very important that veterans understand everything they need to know about their life insurance policies and take the time to do their research and to learn the ins and outs of their policies and options. With your SGLI insurance coming to an end, it’s now time to make the difficult decision regarding whether you’re going to convert your policy or shop around. As a veteran, your family has probably suffered enough and spent long enough worrying about your safety and health. They deserve to be looked after once you’re gone and that means you need to think about this unsettling topic and learn about the somewhat complex nature of getting coverage. All of that will be covered here in detail, so make sure to read thoroughly and to learn about the different ways you can ensure your family has financial support when you’re gone and how to get the best deal. We’ll be looking at government life insurance policies versus private ones, fixed term insurance versus whole of life insurance and much more. All this should help you to navigate these confusing and murky waters and to make the best decisions for your finances and for your family. Let’s start by looking at what precisely life insurance is and why it’s important to think about it. Let’s also look at why term life insurance for veterans is often recommended. Essentially, life insurance is an insurance policy that pays out upon your death. This is a morbid subject to tackle but one that needs to be considered. Some people will not immediately understand the importance of life insurance. After all, when you’re dead you won’t be able to benefit from the pay out – so what is life insurance for? The answer, of course, is that life insurance is not for you but rather for your family. The idea is that if you should die, then your family will be supported in your absence. The main demographic that life insurance is aimed at then, is adults with dependents. A ‘dependent’ is someone who relies on you for their financial stability, so that might mean a significant other who isn’t in work or children who live with you. Even if your partner does also have a full-time job, they might still be dependent on your income in order to be able to afford the bills and mortgage repayments. Today the costs of housing, transportation, and food have become way too high for a lot of families to afford on one income. Most spouses will have life insurance on each other’s life because one could not survive without the other. People must even consider losing one of their partner’s social security payments in retirement. Most people rely on social security to supplement or provide entirely for their retirement. Without the full social security of their spouse, one member of the family might struggle mightily during their retirement years. In these scenarios, your death would not only be tragic but would also have a huge impact on your family’s lifestyle. Unable to afford the mortgage, for example, your family might be forced to move home. This could mean drastically downsizing, moving into a council home and potentially taking your children out of their school and away from their friends. Meanwhile, if your wife or husband currently stays at home to look after the children, they might be forced to go into work – meaning your children would have less time with them and would face even more disruption to their current lifestyle. On top of this, your family would need to pay for your funeral and would be unable to afford the luxuries that they have become accustomed to – that means no more holidays, no computer and smaller birthday and Christmas presents for your children. It’s important that you put all this in perspective: your family have just lost you and are no doubt in mourning and struggling to cope. They are then forced to deal with this on top of all the financial concerns, the debt, the moving and the change in lifestyle. It can be enough to tear them apart at a time when they need to come together and support one another. Even if you don’t have a family that is dependent on you, life insurance can help to cover the costs of your funeral and can a great way to offer your family a parting gift when you die. If you don’t have much in savings, it’s a good way to look after the people you loved in life after you’re gone. Your parents may not be dependent on your income for instance, but receiving a pay-out can help them to deal with their loss. And again that might sound very morbid and very shallow. How can a payout help your parents to cope with your death? Understand though that this is not to say that they will be ‘just as happy’ with the money. This isn’t designed to be a ‘silver lining’ to your death in any way. Rather, it is simply intended to make life a little easier for them once you’re gone – they might choose to take a holiday with the money to try and come to terms with it. They can use it, as mentioned, to cover funeral costs. And perhaps they might opt to donate some money in your name to a good cause. All these things can help make the grieving process just a little bit. The idea is not to offer a distraction from the loss but rather to remove other distractions and stresses so that they can focus on each other and on finding a way to continue without you. This is all in many ways more important for veterans than for any other group. Veterans often understand that the unexpected can happen and life insurance might be very important for their families. If you have previously been in the military, then chances are that you will have been automatically enrolled into an SGLI program (servicemembers group life insurance). This means that you will already have a policy unless you actively chose to opt out. Following this, you will have been given a short period of time during which you will have been able to take up VGLI – veterans group life insurance. Making this change will have allowed you to transfer your existing insurance and to potentially get a good rate for your insurance. But it’s also not necessarily the best choice for you or for your family with other private options now available. As a veteran, you may also find that some other forms of life insurance are difficult to acquire. This is especially true if you have been injured in any way, which might cause traditional private insurers to see you as a risk. If you are having difficulties finding work, then this can create yet another obstacle. In other words, there are even more factors to consider as a veteran but it’s very important that you take the time to consider them so that you can look after your family. You’ve served your time and done a great duty for your country – but so have your family. They deserve to be looked after for everything they’ve been through and that means you need to carefully consider your options. What Happens When Military Service Member Group Life Insurance Ends? When you separate from the military, you will find yourself having to make a decision. Depending on your level of interest, you may already have a good idea of the insurance you’ve been receiving and what’s now available to you. Otherwise, you might not have previously given your life insurance policy much thought. In most cases, you will have been receiving SGLI and will now have the option to move to VGLI. In making this decision though, it’s important to recognize exactly what this means and what it entails. How much have you been receiving up until now? How does that stand to change? What is the process of changing? We’ll address all of that here. Separated from service or not, military members need life insurance. If you’re in the military, then you will likely be covered by SGLI – Servicemembers Group Life Insurance. This is a program that offers low-cost life insurance to service members in active duty. Those eligible are automatically issued with the maximum SGLI coverage with no need to manually apply. So you only need to worry about SGLI if you wish to make changes. If you like, for instance, you can choose to opt out of SGLI. You might have a number of reasons for doing this – perhaps you feel that the cover isn’t worth it for your particular circumstances (you have no dependents for example) or perhaps you want to reduce the amount of coverage. You will have been eligible for this type of insurance if you were an active duty member of the Army, Navy, Marines, Air Force or Coast Guard. Likewise, Member cadets, members of the Ready Reserve and National Guard may be eligible if they performed at least 12 periods of inactive training per year. The same may be true for those who volunteered for the mobilization category of the Individual Ready Reserve and Reserve Officers Training Corps engaged in training and practice cruises. This type of coverage is available in $50,000 increments all the way up to $400,000. Remember, if you haven’t explicitly specified otherwise then you will have been automatically enrolled for the highest value. This coverage is available at relatively affordable prices. The lowest monthly rate (for $50,000 of coverage) is available at just $3.50 per month at the time of writing, while $400,000 is available at a monthly premium rate of $28.00. In addition to this, you may also pay a $1 ‘TSGLI premium’. This stands for ‘Traumatic Injury Protection coverage’ and is essentially an additional type of insurance that protects you against traumatic injuries. This is designed to offer short-term financial assistance to any severely injured service members to aid their recovery. The fact that TSGLI is offered additionally at this greatly reduced rate is yet more reason for servicemembers to choose this option. This means that for a total cost of $29.00, your family would receive up to $400,000 in the case of your demise, while you would also be covered against traumatic injury. This is something that any servicemember should certainly consider and that is certainly a very good option compared with other private insurance. But once you leave active service, you will be given the option to convert your SGLI policy into a VGLI program. VGLI stands for ‘Veterans’ Group Life Insurance’ and the idea is that you will be taking what you’ve invested in your SGLI policy and moving it to a new policy aimed at veterans. 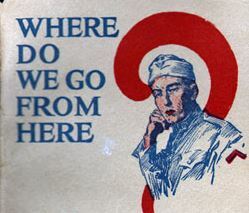 If you choose to go this route, then you must act within one year and 120 days from your discharge. If you submit the application within 240 days of your discharge then you will not need to submit evidence of good health. Those who take longer will need to answer questions regarding their health. What’s also useful to recognize is that members receive 120 days of free coverage following the date of separation. This gives you time to find a new policy and to compare the different options on the market and means that you’ll still be covered without having to pay anything in the meantime. The other option is that you choose to convert to a private policy not offered by the government. Even when converting to a commercial policy, you should be able to use your existing SGLI coverage in order to make the process smoother and in that case, you still won’t need to provide proof of good health. However, if you should opt to switch to Term, Variable Life or Universal Life insurance policies, then you won’t be able to treat this as a conversion policy. Likewise, any supplementary coverage (accidental death and dismemberment, etc.) will not be considered as part of the conversion policy. Basically then, if you act within 120 days, you will have the option to convert your policy if you choose either a commercial policy or VGLI without proof of your health and during this time you will still be receiving free coverage. However, you will also have the option to use other types of insurance such as fixed term. Making this decision is an incredibly important but complex process. The rest of this guide will help you to understand the differences and will detail the steps you need to take. If you switch to term life insurance, then you will be taking out a specific type of life insurance from a private company. As a veteran, this means that you will have rejected the option to convert your policy into a VGLI policy. Furthermore, it means that you will have rejected the option to convert your policy using a commercial provider – as term life insurance cannot be allowed as conversion types. In a moment, we will discuss term life insurance versus ‘whole of life insurance’ and ‘life assurance’ and will help you to decide which is right for you. If you opt not to convert your existing insurance policy, then you will be able to select any type of private insurance that you want. That means you can pick whole of life insurance, fixed term insurance, decreasing term life insurance and much more. This gives you much more freedom versus VGLI but also makes the decision making process considerably more difficult. Most types of life insurance policy, however, can be broadly categorized as ‘term life insurance’ and we will look at them. Before we look at these different types of insurance though, it can be useful to understand a little bit about private life insurance and how it works. This, in turn, will give you more context regarding your policies and will help you to better understand some of the differences. Essentially, when taking out private life insurance the idea is that you are protecting your family financially so that they can maintain their quality of life even once you are gone. However, what you also need to recognize is that the life insurance company itself is trying to make a profit. That is to say that they are trying to make money and in that regard, you are an investment. The ideal scenario for the life insurance company is that you pay into a policy but then outlive the ‘fixed term’ that you agreed to. This means that they won’t have to pay out the agreed amount (though in some cases you might get some payout) and it means that they get to keep a large amount of profit from that policy. If you should die after a long duration, then it may be that you’ll have paid as much into your policy as you got out. Finally though, if you die after a short period, the company will have lost a lot of money and you will have been a bad investment for them. Of course, though, this is the service that the company provides. Unlike a bank then, the insurance company can’t completely avoid any investment that might turn ‘bad’ but has to be willing to offer the same service to the majority of their customers. The risk, however, is that the amount of money that gets paid out by the life insurance companies might be bigger than the amount paid in over-all. This then makes it a game of numbers for the life insurance company – and it is necessary that they think about the combination of the policies they are taking on, and that they can cover the policies that do have to get paid out early. So if a life insurance company were to give out 20 policies, they could expect in the next five years to pay one or two of those policies out. However, the other 18 policies that were still paying in would hopefully be enough to make up the difference and to prevent the company from losing too much money. If 10 of the life insurance policies were to claim however, then the life insurance company would no longer have been profitable. Life insurance companies then, of course, will gravitate towards individuals that are less likely to require their policies to be paid out soon. The healthier you are then, and the younger, the better your life insurance quotes are going to be. Conversely, if you pose a high risk in terms of investment, then you will be more likely to have to pay a higher premium and you might struggle to get insurance at an affordable rate. This way, the company is able to ensure that on the whole, it is continually generating profit despite occasionally payouts. Many factors influence how viable a prospect you are for insurance. Pre-existing health concerns, for example, can impact negatively on your insurance premiums. Likewise, so too can your career. If you are a professional stuntman, for example, you might find that this increases the cost of your insurance. This is important to consider if you are a veteran as you might find that your status impacts on your ability to get life insurance. This could be particularly true if you have been injured in the line of duty. Fortunately, there are companies and policies available privately that cater to specific groups and that can help you. This is just the same as car insurance companies that cater specifically to female drivers, new drivers or other groups, or loan companies that specifically give loans to those with poor credit. At the same time though, there are other ways you can make your life insurance quotes cheaper by representing a better deal to the companies. For instance, if you should take out a fixed-term life insurance policy then that will mean that you have a guaranteed point at which your policy ends. You will then agree usually a certain amount to get paid out at this point but that will mean, unlike whole-of-life insurance, you aren’t guaranteed to need the full amount paid out. This means that a fixed term life insurance policy can be considerably more affordable than a whole-of-life insurance policy. And the same goes for other forms of term life insurance, such as decreasing term which we will look at in a moment. With all that said, we can now look at the types of life insurance available and what each offers both the recipient and the company. Term Life Insurance – This refers to life insurance that only lasts a finite amount of time and then ends and is also known as a fixed-length life insurance. This means that in many cases the insurance holder won’t die during the length of the policy and the policy will never pay out in full. For this reason, term life insurance will very often have an agreed payout, meaning that you can opt to receive a certain amount of money back upon completion. It’s also important to note however that should your term life insurance end and you decide you need further cover you can simply take out another term of insurance. In other words, you will be given the option to roll over your existing policy without having to go to too much trouble. However, it will also be much easier to cancel at that point. Usually, term life insurance has a minimum duration of five years and is often planned to coincide with children moving away from home or the end of a mortgage. In other words, most of us won’t actually need life insurance for our entire lives. Once you reach a certain age, your dependents may have moved away and your recurring costs might have significantly reduced. Paying a large amount of money into an ongoing policy might not make much sense then. And as mentioned, by making the life insurance policy only five years long, you are also making yourself appear to be a better investment. The likelihood of a company having to pay out for your life insurance policy is much lower if it is only active for a short amount of time. This then means you can get it much cheaper. Whole of Life Insurance – As the name implies, this form of life insurance lasts as long as the holder lives. It follows then that every case involves a payout at the end and the high premiums will reflect this. However, in cases where a partner doesn’t have their own pension scheme, or in cases where they or other family members may be unable to look after or support themselves, it can be important to ensure that you’re covered into old age. The way you pay whole of life insurance will depend on the insurance company and their policy, while some will require the premiums to be paid up until the policy holder’s death, others will become ‘paid-up’ at a certain age and no longer require premiums while still ensuring the holder is covered. Again, this can also affect the cost of the premiums in the short term. However, these two categories still do not describe all the options available and there are still more options within the Whole of Life and Term insurance plans. Level Term – This is the most basic form of term life insurance in which the potential pay-out remains constant throughout the duration of the term. In other words, you agree a set amount of payout and that will be the amount received upon the policy holder’s death. Fixed Term – Fixed term is another type of level term insurance. Once again, there is a fixed amount of that will be received by the beneficiaries. However, the value of the life insurance premiums will also remain fixed at all times. In most cases, any level term insurance will also be fixed. However, you should certainly check this with the insurance provider before you agree as you might otherwise find that your insurance policy is subject to change or that it can be impacted by factors influencing the economy. In fact, this is one of the big advantages of choosing a fixed policy versus a government policy – but we’ll discuss that in more detail later in this guide. Decreasing Term – Here the amount of cover (the potential ‘payout’ amount) reduces as the term progresses. This can reflect a reducing liability – for example, if the life insurance has been taken out purely to protect against a mortgage then you might require a decreasing term insurance plan as the amount left to pay decreases. This also means that the amount you pay into the life insurance policy will decrease over time and that in turn means you’ll never be paying more than the precise amount you need. You’ll also this way potentially make yourself even less of a risk to the insurer, as even if you die during the short fixed term, they won’t have to pay out the full amount that you began paying at the start. If you know exactly how much you need and this is likely to decrease time, then this is a viable option. Again, this wouldn’t be available from a VGLI pension, so this kind of flexibility is important to consider as a veteran. Increasing Term – This is slightly more common and provides cover that increases with time along with the cost premium. Usually, this is in line with inflation and should your policy last longer than 15 years then it’s definitely advisable or your payout may not be worth anything when your family receives it. Alternatively, like the decreasing term you may wish for it to increase as does your liability – for example as you get older and so at the greater risk of falling ill.
Renewable Term – This is simply a term life insurance plan but with a built-in renewal option. Whereas if you were renewing your life insurance by taking out a new term insurance plan you’d have to undergo a new health check etc. to enable the company to work out whether your premium should change; with a renewable term life insurance plan you can renew it automatically with no need for a reassessment. This is quite important if you want to make sure that your term is truly fixed term – otherwise, you can find that companies might use a tempting low premium for your first five years to encourage you to sign up only to then increase the price suddenly when you need to renew. If you don’t have renewable term insurance, this might mean that you end up paying a large amount of money. Convertible Term – This allows a holder with term life insurance to exchange their cover for a whole of life plan or an endowment policy as their circumstances change and again does not require another assessment. This shouldn’t be confused with converting your existing SGLI insurance, however, which we will discuss in a subsequent section. Family Income Benefit – This type of insurance pays out in regular installments like an income rather than paying the surviving family members one single lump sum and so keeps their income more similar to that which they’re used to if it’s the breadwinner who has passed away. This is not necessarily something that you will choose ‘instead’ of the other policies above. Rather, you will normally decide this on top of choosing the type of term insurance you want. So you might opt to have decreasing term life insurance that pays out in one lump sum, or decreasing term life insurance that offers a family income benefit. In some cases, life insurance policies will pay out both a lump sum and then recurring amounts. There are pros and cons to each option. For instance, some kind of lump sum can be very useful for paying costs such as the funeral costs. At the same time, receiving a large lump sum gives the family more control over how they’re going to spend it and means they can opt to invest the money to grow its value or to potentially move home. On the other hand, investments can turn sour and family income benefit might provide the most secure and stable income over time. Family income benefit is also significantly easier for a grieving partner to manage – it means that they won’t have to worry about finding a financial advisor or filling out complicated tax returns. Of course, the size and purpose of your policy will also factor into this decision. If your aim is to provide a small lump sum for your parents, then family benefit insurance doesn’t really make much sense as an option. This is something to discuss with your beneficiaries. Finally, the insurance holder may have to opt for either ‘maximum basis’ or ‘standard basis’. Maximum basis will mean that the holder gets the maximum possible payout for their premium, but will also mean that the premium will most likely change around every 5-10 years. With a standard basis, the payout is slightly less but as a result, the premium will stay the same for the duration of the policy. This is another similar option to choosing a fixed term. The exact type of life insurance you pick will depend on a variety of factors: your own liability, the family members that rely on you, the amount you can afford and personal preference. Any type of cover is better than nothing however and at the end of the day if you’re unhappy with your cover you can always swap. Life Insurance – Life insurance covers the holder for a set period of time – either a finite number of years (‘term’ life insurance, see above) or the duration of your life (‘whole of life’ insurance). If you die while still taking out the policy then your family will make a claim and be paid out the specific agreed amount. However, should you survive until the end of the term you will receive an agreed payout (in some cases this will be nothing) and the policy will be worth nothing. While life insurance is very important then, in these cases it will prove to be a poor ‘investment’ as you will have lost most or all of the money you put into it. While you don’t risk this scenario with Whole of Life policies, the policy won’t be worth anything until you die at which point it will pay less than the amount you paid in + interest. Life Assurance – Life assurance, however, is different in that it represents an investment for you and your family. This is because there are two sums that you are entitled to with life assurance, one guaranteed sum – which is your fixed rate payout – plus a ‘non-guaranteed investment sum’. This is related to the size of your payout and the duration of the policy along with an element of luck regarding the performance of the investment made. In other words, your guaranteed sum will be invested by the policy provider into stocks and shares, property or other assets and will hopefully increase in size as a result. You are guaranteed to receive some amount of money back at the end of your policy and there’s another amount you’ll definitely receive should you die. However, you can also receive an additional amount of money from the investments on top of that amount if your money performed well. This also means that life assurance can offer several other functions. In some cases, the policyholder will receive ‘annual bonuses’ from their investment. In other cases, it will be added to the payout and then when the policyholder dies, the survivors will be able to choose between receiving either the guaranteed sum or the interest – whichever is higher at this point. If the policyholder survives, however, they will receive both their initial investment and some of the interest it generated over the years. Choosing term life insurance gives you a lot of flexibility in how you’re going to go about spending your money and protecting your family’s finances. However, you’ll also find that companies are very flexible in regard to the premiums they offer you and who they will and will not protect. This means you have to be savvy about how you get your life insurance. First and foremost, that means shopping around for the very best life insurance policy you can find. Different companies offer different rates and some companies will offer better deals for specific types of customer (including veterans!). Don’t take the first policy you get offered but shop around and get an idea of how much these policies cost, then compare the best options. At the same time though, you might also want to look at ways you can make yourself a more appealing prospect for potential insurers. In other words, think about what will make you more likely to survive the duration of your life insurance statistically. There are many ways you can do this and one of the most obvious is to lose weight if you’re above average. This is a particularly effective way to lower your insurance and policyholders who would technically be considered ‘obese’ can expect to pay up to 50% more. At the same time, you should lower your alcohol intake. When applying for life insurance you will likely be asked how many units of alcohol you drink in a typical week and if you’re an ‘alcoholic’ then you can expect to pay a lot more. This is, even more, the case as lowering your intake of alcohol will have a knock on effect of lowering your weight meaning that it’ll lower your insurance in two different ways. Some insurance companies will also take your cholesterol levels into account – and again these can be lowered by both losing weight and by drinking less alcohol. To directly target cholesterol, you should eat less saturated fat and fewer carbs while increasing your intake of fiber. Exercise will also improve both your weight and your cholesterol and will make you generally healthier and fitter too. Reckless driving can also result in a higher-than-necessary cost for your insurance, so any points on your license or claims on your car insurance will work against you. Try to drive carefully then and build up a history of no-claims for at least three years. This will not only lower your life insurance but will also have a positive impact on your car insurance meaning you’ll save money in two different ways. Your hobbies and career can also affect your life insurance. If you work in a particularly hazardous environment or enjoy rock climbing or bungee jumping as a hobby, then you might want to reconsider. If you’re taking out life insurance it suggests you have a family to look after, so risking your life won’t just affect you anymore – think hard about the implications of your decisions. There are many more factors that might impact on the cost of your life insurance, so you need to think long and hard when making the decision. Never try to lie to your policy provider, however. If you do, then there’s a good chance that your family won’t receive the payout at all. There are also numerous other factors to consider when looking at taking out a term life insurance policy as a veteran (or non-veteran for that matter). One that may perhaps be less obvious is your credit history. Of course, the company also wants to be sure that you will actually make the payments that you have agreed to – so they may check your credit score before offering you a rate. Different companies will charge different amounts based on different factors and the health questions you get asked will often vary. Make sure that you carefully look into which factors the company takes into account before you decide to go ahead. One last tip: make sure that you don’t just rely on your life insurance policy. As we’ll see later on, even with a good policy there are still things that can go wrong. Make sure that you also have other contingency plans as well then – which might mean taking out an annuity, or simply keeping lots of savings to one side for your family to dip into in your absence. So at this point, you should now be caught up regarding all your main options. While in service, you will be receiving SGLI. After that, you have the option of converting your insurance to VGLI or using a private company to get term life insurance. There are pros and cons of each decision, so let’s look at which is right for you and which you should consider using. There are several advantages to choosing VGLI over private term insurance. The key advantage is that this will allow you to convert your existing insurance. This, in turn, means that you do not have to fill out a health form, which can help you significantly to make the process easier and to potentially save yourself a lot of money. When converting an insurance policy from SGLI to VGLI, you simply have to sign up within the enrollment period (1 year and 120 days) and if you do this within 240 days, then you won’t need to answer any health questions that could otherwise affect your rates. This is compared with taking on new life insurance, which would require you to fill out a detailed questionnaire and would potentially cost you a higher premium depending on your answers. 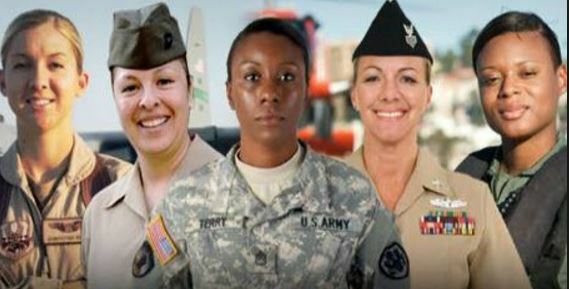 At the same time, VGLI is also designed specifically for veterans and offers very good rates. Using VGLI you will pay a variable amount of money depending on the amount of cover you need (details here: http://www.benefits.va.gov/INSURANCE/vgli_rates_new.asp) but in general, these rates are very good. The amount of cover you can pay for ranges from $10,000 up to $400,000. For $400,000, you’ll pay $32 per month if you are aged 29 or under up to $1,840pcm if you are aged 75 or above. At the other end of the spectrum, cover up to $10,000 will cost as little as $0.80 for those under 30 and $46 for those over 75. We’ll discuss the details further in the chapter on VGLI specifically. Another danger when it comes to private life insurance that isn’t so much of a risk for government policies like VGLI is that private companies can go bankrupt. This is relatively uncommon, but high profile cases have been reported relatively recently. If a private life insurance company goes bankrupt, then often you will receive some kind of compensation from the government but this might take years and isn’t guaranteed depending on the severity of the scenario. While it’s technically possible that a serious economic crash could affect your private government insurance, it’s far less likely. However, there are also a number of advantages to choosing a private policy. One such advantage is that you get so much more flexibility. Using VGLI, you have up to $400,000 in total but can only increase by $25,000 every five years up to $400,000. The starting cover will be whatever you originally had from SGLI. Remember that the maximum SGLI coverage was $400,000 as well but it started much lower. This means that in order for your policy to be worth $400,000; if you were on the lowest starting point you would need to increase the value 16 times – which would take a total of 80+ years. At this point, you would also definitely be paying $1,840pcm for your protection. Oh and you actually can only increase. This means that if you have a very large house with a big mortgage and if you need to take out coverage for that mortgage, you likely won’t be able to. There’s also no option for a decreasing or increasing term policy, or for life assurance if you like the idea of investing. Then again, many people would be happy with a policy worth $100,000, in which case your starting point would be $8 a month, going up to $460 a month when you’re over 75. Note that there is a big jump in price between 65 and 75 – and remember that most people won’t need such a large policy once they’re older and their children have left home. At that point, you may already have paid off your mortgage even. Likewise, as your policy would automatically have been set to the maximum (400,000), you should be able to start at this amount for a good rate to begin with for your family. As a renewable policy, you can always reduce the amount every five years. But this still means that you’ll be paying an absolute minimum of $46pcm by the time you’re 75 and this is subject to increase, unless you convert your LGI to a commercial policy or request to cancel the policy/go without paying. This is part of the main problem with VGLI. VGLI often offers the best rates for young veterans but becomes more and more prohibitive as you get older. This is due to the fact that VGLI is only dictated by age. And essentially, you’ll be paying for the older servicemembers. And remember that there are private insurance companies that are aimed specifically at veterans. Two good ones to look into are AAFMA and USAA. So it might work for you or it might not. But either way, you will have more flexibility and freedom if you choose to find a private insurer. Another point to bear in mind is that governments can increase the cost of life insurance at any point. This is true for general government life insurance policies but also for VGLI. And this isn’t just a hypothetical point either – it happens regularly. In fact, as recently as July 1st, 2014 the rates for VGLI insureds over 70 increased. Remember: this is avoidable if you choose the right fixed rate policy, in which case you’ll know exactly how much you need to pay for the duration of that fixed term. Likewise, many private term life insurance policies will be more generous regarding your age. It’s possible to find term life insurance that drastically varies in terms of premiums with age. Likewise, it’s also possible to take out whole of life insurance policies if you intend on keeping your life insurance for your whole lifespan. Always think ahead and make sure you take into account factors that are present now and that will be an issue in the future as well! Still struggling to make a decision? In that case, you might find that you can look into a number of other options. One is the briefly mentioned option of converting SGLI to commercial coverage. This is possible if you find participating private companies that choose to provide the same compatible services. And because you are still converting your current coverage, that means that you won’t need to offer proof of health. However, these will still be less flexible than a private term life insurance policy, as term life insurance cannot be converted. Several companies offer this service and a list can be found here: http://www.benefits.va.gov/INSURANCE/forms/SGL133_ed2015-06.pdf. Once you’ve chosen which company you want to go ahead with, you can contact their office and/agent and then provide them with your separation document (DD-214 or NGB-22). Alternatively, you can provide your Reservist orders and a copy of your last Leave & Earnings Statement. Like the policies you would have received from VGLI, you’ll still be fixed to a permanent policy such as whole of life. But the advantage here is that different commercial companies will still offer different rates and you might find that you can get a better deal by going elsewhere. In this way, choosing a converted commercial life insurance policy offers you an interesting ‘compromise’ choice that may or may not be more suitable for you. At this point, you’ve had a lot of numbers thrown at you and details. Making the decision might now seem impossible. Ultimately though, you’ll be protected with any of these options and that is the main and most important thing. How do you make the decision about specifically which type of life insurance policy you want? Basically, it comes down to how much money you need and how long you need it for. If you have a mortgage and you only want life insurance to cover that policy, then perhaps a decreasing term life insurance policy may be your best choice. Alternatively, you might find that a fixed term life insurance policy allows you more freedom. If you want whole of life insurance, then a VGLI policy becomes a much more viable option. However, you should still decide exactly how much your family needs to maintain its current standard of living. How much do your bills cost? How much salary would your family have to live on if your income were discounted? Would your surviving partner need to hire childcare? How much do you spend on ‘non-essentials’? How much will it cost to send your children to college? Will your family be prepared for any ‘unexpected’ expenses? Another consideration here though is that the decision you make is one you will have to live with. After one year and 120 days, you will no longer be eligible for VGLI insurance. What’s more, is that once you take that life insurance it will be a permanent policy (although you can still convert to another participating commercial insurer using VGLI). And this can potentially put veterans in a very difficult situation. Why? Because you might find that you don’t land a job the moment you separate from the military. This, in turn, means that you won’t be left with very long to make the decision and you won’t know precisely how much income you will have at the time. Now we’ve looked at all the options available to you and how to make the decision, let’s go over the VGLI insurance policy in just a little more detail. To recap on what we already know, VGLI is insurance that allows you to convert an existing SGLI coverage and which lets you increase that amount in $25,000 increments every five years. You have up to one year and 120 days to convert your SGLI policy to VGLI and if you do this within 240 days, you won’t need to provide proof of health. What’s more, is that your VGLI insurance is based on your age alone and does not take things like your smoking into account. As a policy that is designed specifically for ex-servicemen, you can expect the policy to be more affordable than many other private ones to begin with (though this isn’t always the case). The rates are the same for males and females as well and post-traumatic stress disorder or traumatic brain injury do not affect the cost. Your insurance will come into effect the moment you pay your first premium and will not change until you cancel or stop paying. But there are some other factors and caveats that we have not mentioned to this point. The highest rate of coverage is $400,000. It is not possible to increase your premium above the amount you had with SGLI. This is a BIG caveat and one that isn’t very explicitly mentioned on the website. In other words, if you elected to keep your payments during service low, then you may not be eligible for more than $10,000 from VGLI… ever. This is a serious problem seeing as our circumstances can change drastically from one period of our life to another. This means that it is very important to ensure you opt for the maximum rate of coverage during service. You know this now, but if it is already too late then you might have no option other than to choose a private insurance policy. You can pay your VGLI premiums annually, semi-annually, quarterly or monthly. Note that there is a 5% discount if you pay your amount annually in full – though of course, not everyone will be able to afford this. This is something else that you might want to consider when comparing different insurance policies – they can vary greatly in terms of the payment options. For VGLI you have the option to pay by credit card or by phone. Another big factor that isn’t clearly listed on the website, is that the federal government offers ‘automatic premium pay’. This means that your pay is deducted from your military retirement pay or VA compensation payments. This is an interesting option as it means that you might not have to pay anything up front, depending on the size of your pension and whether or not this is something you’re happy to sacrifice. Again, this is something you need to take into account when you are comparing the benefits of VGLI versus private insurance. If you are diagnosed with a terminal illness with 9 months life expectancy or less, then you may request up to half of the payment. There is no contestable period, this means that there’s no waiting between the start of the coverage and claim payment. Suicide claims are not excluded and ‘acts of war’ may also not be excluded. If you decide that you do want to go ahead with VGLI, then the process of converting is quite simple. It is actually now possible to apply online. Doing this, you’ll be instantly evaluated and will know right away if your application is approved or if you need to make changes and have it reviewed. You can apply online here: http://www.benefits.va.gov/INSURANCE/ext_redirect_approve.asp?url=https://giosgli.prudential.com/osgli/web/OSGLIMenu.html. It is also possible to apply by mail. To do this, you will need to first download and complete the SGLV 8714 Application for Veterans’ Group Life Insurance and mail that to the Office of Servicemembers’ Group Life Insurance. For that, you will also need a copy of your DD 214 or equivalent proof of service. The website also makes it relatively easy for you to manage and update your policy. For instance, you will be able to update your beneficiary at this link: http://www.benefits.va.gov/INSURANCE/updatebene.asp. To find out if you are eligible you can visit this link: http://www.insurance.va.gov/sgliSite/TSGLI/TSGLI.htm. SGLI insured servicemembers being released from active duty. Members of the Public Health Service (PHS), Inactive Reserve Corps (IRC) who were injured while performing duty or traveling directly to or from duty who are uninsurable at standard premium rates from private insurers. Normally, you’ll receive an application form from OSGLI only 45-60 days following your separation from service. If you wish to apply earlier, then just follow the steps outlined above and go through the relevant online channels. S-DVI is Sevice-Disabled Veteran’s Insurance and was established in 1951 to help those veterans with serious disabilities relating to their service. This comes in a range of permanent plans and is issued for a maximum face amount of $10,000. However, in reality, these policies are worth much more. It may be possible with S-DVI to qualify for a complete waiver of your insurance premiums. What’s more, is that you might be offered an additional ‘supplemental’ S-DVI of up to $30,000. This extra supplemental coverage has been in effect since the introduction of The Veterans’ Benefits Act of 2010. You were rated for a service-connected disability – this does not necessarily have to be a severely limiting disability. Even a ‘0% disability’ may be enough for you to qualify. You are in good health other than your service-related condition. You apply within two years from the date you are granted your service-related disability. There is a much more detailed rundown of these details available on the Online Policy Access Page: https://www.insurance.va.gov/portal/. In order to apply, you will need to download the VA Form 29-4364, Application for Service-Disabled Veterans Life Insurance and/or VA Form 29-0188, Application for Supplemental Service-Disabled Veterans (RH) Life Insurance Also be sure to look at VA Pamphlet 29-9. FSGLI is a program that offers term life insurance for the spouses and dependent children of service members who are insured under SGLI. Here, the service member will pay the premium for their spouse, while dependent children will be automatically insured at no extra cost. FSGLI provides a maximum of $100,000 of insurance for spouses and $10,000 for dependent children. This is not as much as your family may be able to get themselves on a private insurance policy, so once again this is something very important to consider when making the decision whether or not to go ahead. As long as you are an active duty service member covered by SGLI or a member of the National Guard, Ready Reserve or other uniformed service covered by SGLI, then you will have this option. However, this option is not available for those insured under the VGLI insurance program. This is another important consideration for servicemen and women who are leaving SGLI as they will need to decide what they are going to do with their spouse’s insurance. Generally, this means that you will either need to look around for a separate private life insurance policy for your spouse to take up once you leave active duty, or you will need to convert the FSGLI policy into a commercial policy. You have 120 to do this following your separation from the military. As with your own policy, this will prevent them from having to provide proof of their health. Likewise, it means that they must choose from the list of participating providers and then take out a permanent whole of life policy. These limitations mean that many families will do better off canceling the policy altogether and looking for a new private policy. If you choose to look for private life insurance, then you will need to shop around and that goes for you and for your family. Life Ant strives to provide the best and lowest price term life insurance policies for veterans and members of our armed services and coast guard. We have already discussed this briefly and addressed how you can find cheaper policies. However, there are more considerations that we did not look at and that you should also consider. Obviously, your health will be one of the first things that insurance companies look at. As said, this includes smoking and quitting smoking will help drive down your premium – though if you’ve ever smoked it will still be higher than if you never had. And it’s not just cigarettes either, all tobacco products such as chewing tobacco will raise your quote. Similarly, the amount of alcohol you consume will affect your price and when you apply for your insurance you’ll have to include your average weekly units. Again then you can drive down your premium simply by altering your lifestyle and drinking less each week. As also discussed your weight also has a bearing on your life insurance and if you’re classed as obese then you could face up to 50% more expensive installments. This will be calculated by your inputting both your weight and your height meaning that if you’re very muscular you may also face higher insurance though – something to consider and one reason that you should try discussing this on the phone or looking for a company that will take more into account than just these two factors (body fat percentage is a far more reliable and accurate measure than your BMI). As well as your weight itself however though you might also be asked to input your blood pressure and cholesterol. If either of these is too high they might suggest you’re at risk of heart attack or heart disease. You can, therefore, make your insurance cheaper by making efforts to lower your cholesterol, and even if you don’t successfully manage to lower it to normal levels you may still get some compensation for showing a history of attempting to control it. Furthermore, by losing weight and lowering alcohol intake you’ll actually lower cholesterol as a by-product. Some illnesses, however, won’t be dictated by your lifestyle but instead will be genetic or just luck. When applying for life insurance then you will usually be required to input some of your medical history as well as that of your close relatives. Any previous or ongoing illnesses or conditions will increase your premium as will any record of illnesses in your family that may be genetic. Some insurance companies such as Direct Line will ask you to report whether any of your relatives have died below a certain age and at what age that was. Unfortunately, there’s obviously nothing you can do about any of these factors, but you can take measures to ensure you live as healthily as possible to reduce the chance of illness and price as much as possible. What you can also do is to make sure that you shop around and approach different companies with your details because some might be more stringent regarding things like ancestry than others. Obviously your age will also be taken into account, and the older you are the more your insurance will be – and in fact, this is one of the main determining factors. Unfortunately getting older is not really something you can control, but it does drive up the cost of having children at an older age. However, this is an even bigger factor with VLGI seeing as so many older veterans are still being covered. As well as your health however, your risk of being a victim of accident or crime will also affect your premium. This means the area you live in and whether it has a high crime rate – so that might be something you want to consider when choosing a home or a place to rent. If you work in a construction site or in the police it won’t be cheap either. This might sound silly when you were paying a lower insurance policy while in active duty but unfortunately, that’s the way it is! This means that you could actually find lower life insurance policies by moving to a safer area or reconsidering your career. Also important to keep in mind is that all of these factors are subject to change. What that means is that you might well be more insurable now than you are later and vice versa. This is one reason that it can be useful to take out a whole of life insurance policy or a fixed term policy longer than five years – this way you can prevent yourself from being negatively affected by changes in your circumstances. With that said though, some companies may include clauses that require you to get in touch and inform them of such changes – just as a car insurance company requires you to get in touch if you move home and park your car elsewhere. This is also something good that VGLI has going for it – in that it is only dependent on age. You might want to assess all these different factors yourself when choosing the best insurance for you. Remember too that the type of policy you take out can also have a big impact, as can your payment options and your payout options. As you can see, there are a huge number of factors that influence your life insurance premiums and it’s very important to consider your options carefully before choosing one or going ahead. Likewise, you need to compare the different companies, their rates and how they apply to you personally. Can Life Ant Provide Term Life Insurance For Veterans? Yes, Life Ant works with private insurance companies to compare term and whole life insurance quotes in order to find veterans the best-priced policy. Whether that means VGLI or a private insurance company, we want to provide veterans a tool to get the life insurance coverage that their families deserve. To actually find these policies now that you have all the information, you have a number of options. One is to look at price comparison sites, which can be quite effective at helping you to quickly get an overview of the situation before you make a decision. Do bear in mind though that these sites don’t compare every policy on the market and you will probably still need to do some of your own research. It can also be useful to speak to providers in person if you have unique circumstances, or if you are very muscular and that is making you appear overweight on their forms (for example). Ultimately, the best decision will vary for everyone and almost every life insurance company will offer some benefits and weaknesses. It is even possible in some cases to find ‘life insurance brokers’ that will help you to find the right policy for you. But what is universally true is that all veterans should put in the time to try and find some kind of insurance – whether that means converting to VGLI or whether it means finding a private company to provide it. You owe it to your family and while we all like to think of ourselves as invincible, the reality is life is incredibly delicate and incredibly precious. Make sure you do everything you can to protect it. You and your family deserve it.